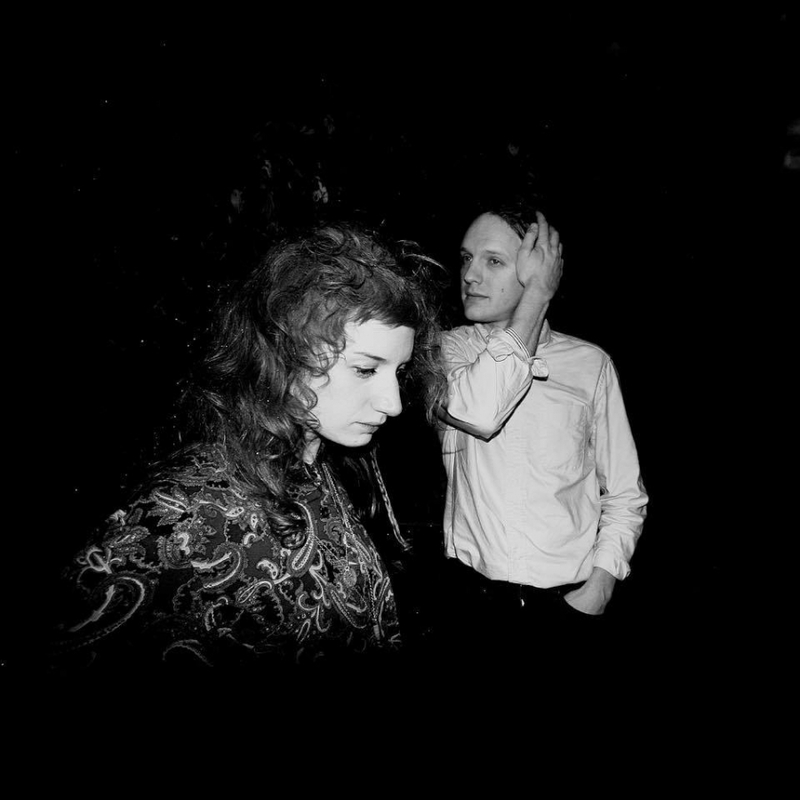 Pure Bathing Culture, composed of Vetiver’s Sarah Versprille and Daniel Hindman, is playing a show this Saturday at the Doug Fir. The duo has most recently teamed up with Turntable Records to cover The Blue Nile’s album Hats, an homage that has been quite a few years in the making. In fact, Pure Bathing Culture was first introduced to The Blue Nile while recording their first ep. According to Versprille, they were both “immediately obsessed with their world of nostalgia and longing.” Pure Bathing Culture does the album immense justice. Their voices blend into a deep, romantic harmony, and they bring a new element of wistfulness to the album's dreamy nature . Pure Bathing Culture will be at the Doug Fir Lounge this Saturday, August 25th, along with King Who and Kasey Johansing. By Nick Hartman, quotes courtesy of Stereogum. The Oregon Coast is a beautiful place, with an enjoyably somber air to it for majority of the year. Now that summer is coming to an end, there's one more opportunity to enjoy the coast at its brightest. 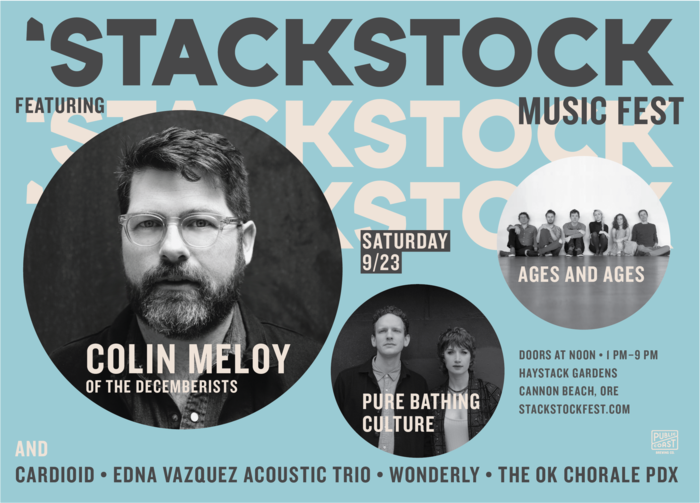 In its inaugural year, StackStock Music Festival takes some of the most popular and pleasant artists coming out of the Pacific Northwest and stages them in Cannon Beach, backdropped by rolling ocean waves at the Haystack Gardens. Coming from hospitality company owner Ryan Snyder, StackStock's sole purpose is to "bring rock to the town with the rock" and that, he's done well. In collaboration with Live Wire! Radio's Kate Sokoloff and local booker Alicia J. Rose, the trio nabbed some in town favorites like the choral pop of Ages and Ages, harmonic folk from duo Wonderly and some latin-influenced guitar sounds from the Edna Vazquez Acoustic Trio. A dream pop flare will come from Pure Bathing Culture along with some pretty rocking folk ballads from a solo headlining set from Colin Meloy, the lead singer of The Decemberists. An interactive pop set from the OK Chorale PDX will get the festival crowd going as well. "The North Coast of Oregon is not really on the tour schedule for big name touring acts like Colin Meloy or Pure Bathing Culture," says Snyder. "STACKSTOCK is my way of sharing this incredibly unique music with the community here and our visitors alike." Saturday's StackStock runs from 1-9pm. Advance sale tickets are $40 and $50 the day of. For directions, ticket purchasing and more information, head to www.STACKSTOCKFEST.com. Everett, Washington has unveiled itself as a blossoming community for artists. This past weekend, the Everett Music Initiative hosted their first Fisherman's Village Music Festival. It took place within four venues in the downtown area. The lineup was not exclusively bands from the Pacific Northwest, though a significant amount of them were. I didn't require much convincing before I escaped my day job, kidnapped my soul sister and raced off into the woods. Click here to read the full review with photo coverage. Everett, Washington has unveiled itself as a blossoming community for artists. This past weekend, the Everett Music Initiative hosted their first Fisherman's Village Music Festival. It took place within four venues in the downtown area. The lineup was not exclusively bands from the Pacific Northwest, though a significant amount of them were. I didn't require much convincing before I escaped my day job, kidnapped my soul sister and raced off into the woods. Friday, we caught performances by The We Shared Milk, Animal Eyes, Tango Alpha Tango in the Cannery, which was transformed from a coffee shop into an event space. All Portland-based bands exuded more energy out into the crowd than what was being thrown back at them. The audience was mellow. Portland was not. Seattle-based Unnatural Helpers introduced us to our next environment-Kroakers. The neighborhood bar had scattered mancave-esque decor. People were generally friendly and intoxicated. The band promised more aggression and the following bands continued on the trend. Jeffertitti's Nile contributed a fascinating wardrobe and stage antics. Night Beats ended the night, climbing on amps and blasting eardrums away. 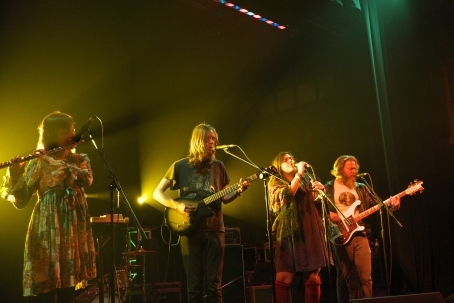 The We Shared Milk at the Cannery for FVMF 2014. Photo by Carey Silverstein. Animal Eyes at the Cannery for FVMF 2014. Photo by Carey Silverstein. Saturday, BellaMaine found us after we had been on a shopping marathon through antique shops and strange estate sales. The married couple who front the indie-pop outfit effortlessly blended their vocals. The title track off of their latest EP, Anxious Mind made me step back for a moment to consider how wonderful this all was. The surprisingly sunny day continued with performances by the reckless Fauna Shade, the Young Evils, AAN and La Luz. I'll never forget dancing onstage with those surf babes. AAN at the Shipyard for FVMF 2014. Photo by Carey Silverstein. La Luz at the Historic Everett Theatre for FVMF 2014. Photo by Colette Pomerleau. Lester Bangs described Austin, Texas in a way that is perfect for Everett as well. “Laid-back and somewhat indulgent as it is, might be a terrible place for a New Yorker or anyone who wants to move and shake culture or corporations but it's an undeniably great place to start a band.” The town is small enough to make a name for yourself, but close enough to Seattle to perform for a larger audience. My experience wandering the town was mostly pleasant, though I haven't been used to mellow vibes for a while. Surrounding the festival, attendees had a ridiculous amount of second-hand shops, small dogs to pet and charming architecture to admire. It was easy to decipher who was in the town for music. Fortunately, I met a couple of locals who spoke about moving there specifically to play with other musicians and it made me feel hopeful. The Initiative's caught onto something. I was happy to experience this for the first time with everyone else. Below, check out Deli Portland's full Photo coverage of Fisherman's Village Music Festival 2014 featuring Moondoggies, the Maldives, La Luz, Nurses, AAN, Young Evils, Fauna Shade, Wampire, Gardens & Villa, Rose Windows, Trails and Ways, Pure Bathing Culture, Night Beats, Jeffertitti's Nile, Unnatural Helpers, Animal Eyes and The We Shared Milk. Photos by Carey Silverstein and Colette Pomerleau. Lying within 25 miles of Seattle, the resurgence of a music scene is inevitable, though building any community is a slow process. Led by the Everett Music Initiative, the Fisherman's Village Music Festival is finally bringing recognition to Everett, Washington as being part of the thriving music culture in the region. The event features an intriguing lineup over the course of two days, Friday May 16th through Saturday May 17th. Performances will be at four venues: the Historic Everett Theatre, an outdoor theater called the Shipyard, the Cannery and the Bait shop at Kroakers. The bands listed cover all genres, providing a one size fits all for sound preference while maintaining an authentic Pacific Northwest flair. General admission for the weekend is under $70 and well worth the investment. Portland has etched its way into the event's lineup including pop favorites Radiation City, Wild Ones, Pure Bathing Culture and Aan, who are spread out through both days to allow for minimal conflicting performance times. Heavier jamming from The We Shared Milk, Animal Eyes and Hobosexual are showcased at appropriate hours early enough in the day to provide energy for explorations through the charming city. Experimental and always mind-expanding Nurses rarely perform in the rose city, so missing their performance at the outdoor theatre is not an option. There is an overwhelming amount of fine acts from the Seattle area as well. Don't miss La Luz, who is known to incite amusing dance moves amongst their audiences. Be swooned by three part vocal harmonies of Everett locals the Moondoggies. Psych rockers Night Beats are destined to become your new favorite. Looking for more electronic waves? Vox Mod is there for you. 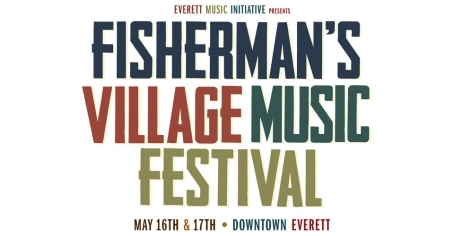 For this being the first year for the Everett Music Initiative to put on the Fisherman's Village Music Fest, there is no doubt they are doing something right. This festival will be one to either constantly remind you of how lucky it is to reside in the Pacific Northwest, or persuade you towards relocation if you're only visiting.